SCP-2892, taken approximately two weeks prior to its sinking. Special Containment Procedures: Due to the nature of SCP-2892, it cannot be fully contained. Site 2892-A has been established at Surabaya, Indonesia (per agreement with the Indonesian government) to facilitate monitoring. Site 2892-A will be disguised as an Indonesian naval facility. At all times, at least one Van Speijk-class frigate modified to carry NATO standard weaponry and sensory packages is to be on patrol in SCP-2892's identified area of manifestation. This frigate is to be supported at all times by no less than two maritime patrol aircraft. In the event of a prolonged manifestation, one air-to-air re-fueling craft should be on standby to facilitate extended operations. These craft will bear the markings of the Indonesian Navy. In the event of attrition or sudden need, non-conforming ships may be visually modified to appear to be a ship currently in service with the Indonesian Navy. During a manifestation event no civilian craft, whether they are seaborne or low-flying aircraft1, are to be permitted any closer than 20km2 of SCP-2892. Civilian craft should be hailed and informed that they are entering a live-fire exercise or on-going anti-piracy operation and must divert. Failure to acknowledge and comply should be responded to with rapid interception of the craft. Standard escalation of force is to be observed for non-compliant craft. Civilian sea-craft should ideally be boarded by attached elements of MTF Gamma-6 ("Deep Feeders") acting as a fast-craft or rotary-wing boarding team. Administration of Class B amnestics and a forced course correction must follow. In the event of an incursion by openly hostile groups the local MTF commander has discretion in how to respond. During a Dutchman event all assets should sound general quarters and prepare to aggressively intercept SCP-2892. Survivors of a Dutchman event are to be administered with Class C amnestics and evacuated to the nearest Indonesian port. Should SCP-2892 not enter a hostile state standard interception protocol should be observed. Dutchman events are to be considered a breach of containment. Description: SCP-2892 is the HNLMS Java, a Dutch cruiser sunk during the battle of The Java Sea on 27th February, 1942. It is fully corporeal and seaworthy, and all systems appear to be functioning. SCP-2892's manifestation consists of the ship breaching the water's surface, bow-first. This is preceded by a dull red glow, similar to that observed in a Dutchman event, below the water's surface. The depth at which SCP-2892 begins this process at has been observed to be between 20 to 18 meters. SCP-2892 appears to simply materialize under the water. The materialization has often been described as watching the vessel 'fading into existence.' The nature and frequency of SCP-2892's manifestation, beyond its approximate location, follows no observable pattern. The ship shows no signs of the extensive structural damage it was reported to have received during its final action. At no point during any of its manifestations have crew been observed on deck. SCP-2892's weaponry and sensory arrays appear to perform to its historical specifications. SCP-2892 however displays an ability to withstand anomalous amounts of damage with no corresponding loss in said performance. It is seemingly indestructible. It has shown itself capable of maintaining flank speed in spite of fires, heavy listing, flooding and appears to dissipate when it would otherwise be sunk. The time in which re-manifestation occurs appears to be variable, with the shortest observed time frame being 18 hours, and the longest being 1 month, 3 weeks. Despite its abnormal structural endurance SCP-2892 often takes standard evasive actions when it loses fire superiority. This greatly facilitates its containment. SCP-2892's non-anomalous armament remain a significant threat when consideration of its endurance is made. It poses a particular danger to civilian and commercial craft, which travel at much slower speeds than itself and contemporary military craft are capable of. To date, it appears to only be actively hostile during Dutchman events (see Incident Log 2892-07). The passive effects of manifestation also pose a significant threat to smaller commercial and civilian craft, and is likely to induce a Dutchman event and subsequent hostile reaction as a result. SCP-2892's manifestation is limited to the waters in which its final action was fought. Once manifested, SCP-2892 appears to roam at will, but to date has not seen to exit any of the straits that act as passages into the Java Sea. SCP-2892's manifestation is always coupled with the appearance of strong, but varying storm conditions regardless of the season. SCP-2892 is not necessarily at the eye of these systems, and has been observed to precede or succeed the passage of them. The reason for this is currently unknown. Severity of these storm systems range from heavy swells upwards to conditions resembling a category 5 Typhoon. The detection of these storm systems appears impracticable save by visual confirmation; traditional methods of short-range weather radar detection appear to be prone to malfunctions. Longer range meteorological radar inexplicably do not pick up the systems that accompany the manifestation of SCP-2892. The severity of the storm systems that accompany manifestation do not appear to be predictable; no discernible pattern has been identified. Initial Discovery: Sunk with extensive structural damage following a prolonged surface battle with the Imperial Japanese Navy, the wreck of the Java was discovered in 2002 by amateur divers. The wreck was subsequently reported missing by the Dutch War Graves commission in November 2016. The disappearance was at first speculated to be a result of local, illegal salvaging, and did not draw the attention of the Foundation. Also reported missing was the wreck HNLMS De Ruyter, lost in the same action. To date, HNLMS De Ruyter has not manifested. SCP-2892 came to the Foundation's attention approximately 1 month after its reported disappearance, which coincided with an increase in reports of abnormally violent pirate attacks and missing ships in the Java sea. 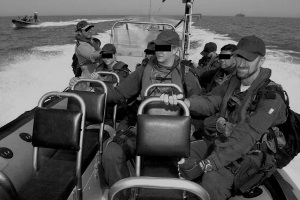 Foundation Agents embedded with the Indonesian Navy and the Royal Australian Navy were tasked to investigate. The existence of an anomaly was confirmed on █/█/2017 when survivors rescued by the Indonesian Coast Guard reported their commercial fishing vessel suddenly had encountered off-seasonal typhoon conditions. Their craft rapidly became swamped and consequently the vessel began to broadcast a distress signal on an open frequency. SCP-2892 responded in its usual matter and a Dutchman event was triggered. Fatalities from this particular manifestation were estimated to number ██. Agents embedded with the Indonesian Navy issued the survivors with Class C amnestics and a standard piracy cover story quickly disseminated. Dutchman Events: A Dutchman event refers to SCP-2892 entering an actively hostile state. To date, this has been observed to be caused in all cases by any attempts to hail, signal or otherwise communicate with SCP-2892 by other craft. Craft often inadvertantly open communications with SCP-2892 as a result of distress signals sent from its latent weather effects. Communication attempts with SCP-2892 are met with a response, however it remains unclear if SCP-2892 is truly sapient or sentient (see Experiment log 2892-01 for further details). It remains a matter of inquiry; exploring this possibility is a top priority if and when active experimentation resumes. Weather will immediately begin to escalate to a Force 12 on the Beaufort scale. SCP-2892 will begin to immediately move towards the hailing craft at flank speed; and begin to emit a dull red aura of light from midships. SCP-2892 will begin to issue highly distorted radio messages towards its target craft. SCP-2892 will, when within range, engage its target craft with all possible weaponry, usually resulting in total loss of life. The nonstop stream of radio communication does not abate during this period. Rarely, SCP-2892 has been observed to not engage but rather intercept its target craft. Upon coming abreast of which, it will [DATA EXPUNGED]3. SCP-2892 and its target craft will thereafter de-manifest in a blinding flash. In all recorded instances, search and rescue has failed to recover cadavers, flotsam or any physical remnant of the event. Investigations into what precisely occurs during a [DATA EXPUNGED] event are on-going. Communications from SCP-2892 are most often in frantic Dutch. Translations of audible speech are a usually a mix of generic combat communications or messages as if from an on-going surface action. In █ recorded circumstances, communications from SCP-2892 have been directed to individual crew members on its target craft, are in said crew member's language of habitual use, and are often identified as being lamentations and warnings from deceased family. Elements of MTF Gamma-6 moving to board the ████████ during Incident 2892-07. On █/█/2017 during the on-going monitoring of SCP-2892 in an active state, the SCPNS Audacious detected a medium sized commercial craft (later identified as the ████████ - a long-suspected Pirate 'mother ship') sailing towards SCP-2892's area of influence. Standard containment protocol was initiated. The craft ignored the hail and immediately adjusted course to avoid the Audacious. The craft's course correction put it on an azimuth that still threatened breach of containment and a move to intercept began. Visual contact was established ten minutes after the initial attempt to hail the vessel. The craft once more ignored attempts to hail it and attempted to continue its evasive action. 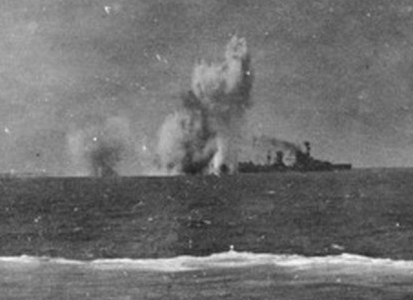 Warning shots from on-deck machine guns and the 76mm were also ignored. The decision to conduct a boarding action by fast-craft was made. At this point in time the pursuit had taken both ships well into SCP-2892's area of effect and constituted a low-level containment breach. Weather conditions were rated at a 6 on the Beaufort scale at that time and were noted to be deteriorating further. Upon approaching the fleeing craft, members of MTF Gamma-6 were suddenly taken under intense small arms fire from the crew. In the ensuing action Agents ███████ and ██████ were critically wounded. Due to the weather conditions rapidly surpassing an 8 on the Beaufort scale and making extraction by fast-craft a dubious prospect, as well as concern for the multiple casualties, the decision was made to attempt to commandeer the craft and guide it back to port. 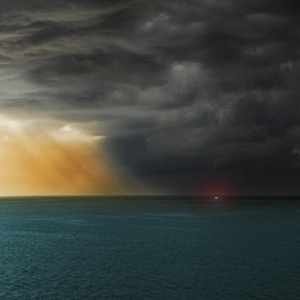 SCP-2892 was spotted on radar approaching both craft's positions at flank speed (despite the weather, maintaining a steady 32 knots) and the Audacious was forced to move to engage with all weapons systems to protect elements of Gamma-6 still aboard the ████████. Despite crippling damage from ship-to-ship missiles SCP-2892 continued its attack run before finally being dissipated by repeated fire from the Audacious's direct-fire weaponry. At this point weather conditions rapidly returned to a 2 on the Beaufort scale. Throughout the engagement, SCP-2892 was broadcasting, as if it were a Dutchman event. This is the first recorded instance of SCP-2892 unilaterally initiating a Dutchman event. It is also the first time in which it has not shown its usual evasiveness when engaged. This report has been submitted to administration for review, along with a request for additional resources. Note: Ellipses in transcripts refer to bursts of static, white noise and interference. Fish4 are in the water, hard to port, hard to port! Attention: [unintelligible] has reported she is hit… is breaking off! Doorman…[unintelligible] request…[unintelligible] we are being overpowered! My son? ████? Flee, my boy….flee….the [unintelligible] comes. Do not let….let…the sea….take you. 1. Commercial air-liners and cargo planes operate at a high enough altitude to not be affected by SCP-2892's effects. 2. To date the greatest recorded radius of SCP-2892's area of effect. 3. Active experimentation with bait-craft crewed by D-class personnel has been suspended in lieu of Incident SCP-2892-08. The experimentation logs leading to said incident are currently Security Level 4 and are only available at the request of the local Gamma-6 commander or assigned Frigate Captain.